The rock star Tom Petty has died aged 66 following a suspected cardiac arrest, CBS has reported. Paramedics rushed to his house in California on Sunday (1 October) following reports he had been found not breathing. TMZ reported on Monday (2 October) that he was taken to a nearby hospital in Santa Monica and that had been on life support. A decision was made to switch it off. Medics found a pulse but TMZ reported that he had no brain activity when he arrived at the hospital. 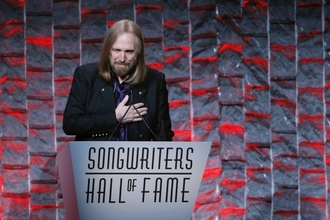 Petty had only just wrapped up a tour last week at the Hollywood Bowl arena in Los Angeles. His latest album, Hypnotic Eye was the first Tom Petty and the Heartbreakers record to top the US charts. Petty dropped out of school aged 17 and joined his first band, Mudcrutch, inspired by the Beatles. In 1976, he formed Tom Petty and the Heartbreakers. His was the voice of rebellion right from the outset of his career in the 1970s. Songs such as The Waiting, You Got Lucky and I Won't Back Down topped the charts with most of his albums certified either gold or platinum and overall, he sold more than 80m albums. He was inducted into the Rock and Roll Hall of Fame in 2002. Fellow artists were quick to pay tribute on Twitter. Sheryl Crow tweeted: "I love you so much. You are in my prayers." Country music trio Rascal Flatts open Las Vegas residency with tribute to Route 91 victims. Taylor Swift surprised her fans by flooding their Instagram accounts with comments and compliments. Kelly Clarkson fought against being pigeonholed as the next Whitney Houston at the beginning of her career. Cheryl has confirmed she will return to British TV talent show The X Factor after a two-year hiatus. Liam Gallagher has no interest in smoking and boozing anymore, preferring a bubble bath to a wild night out. M. Anthony, D. Yankee and Camila Cabello are teaming up to perform at a star-studded benefit for Puerto Rico in Florida. Aaron Carter has left rehab early to handle "personal and legal matters" at home. Singer Pink has slammed music producer Dr. Luke, insisting he's a bad person who has "earned" his terrible reputation. Pink is still struggling to juggle her career with her family, as her life isn't a "simple puzzle anymore".